As Heresy and Incanux have been talking, we’re playing Bolt Action for the first time. 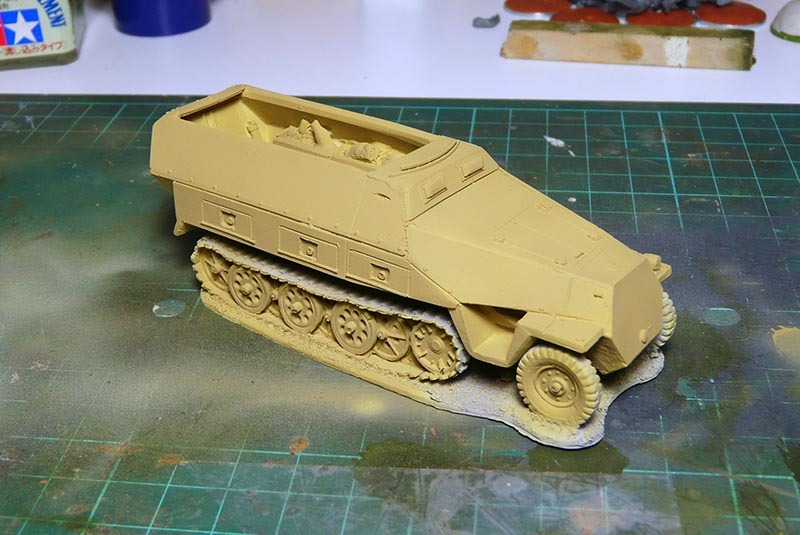 Heresy has gifted me a Hanomag (GRACIAS AMIGO! ), so better if I start painting it before the next battle!! 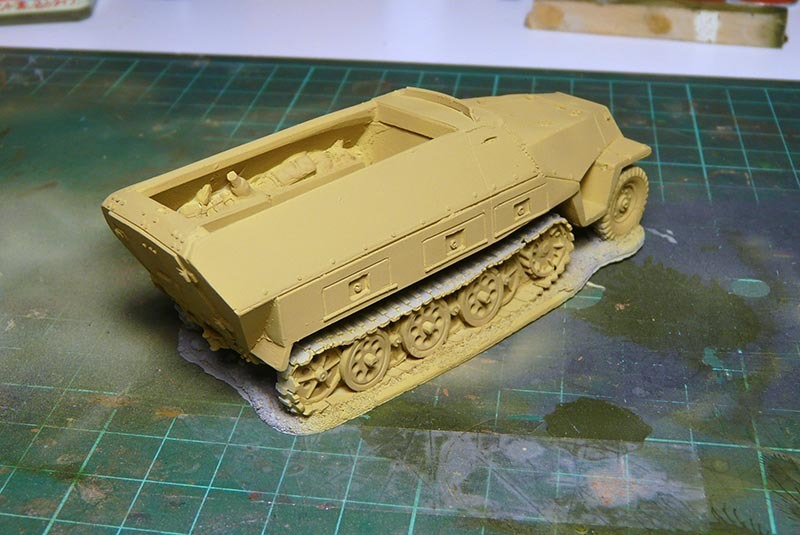 After cleaning the resin and applying green stuff in many holes, I’ve primed the whole vehicle in grey: Hull with Vallejo Grey Primer, and the tracks with AK Interactive. Although we’ll talk about these two products in another post, comparing them, I’ve to say that the AK Interactive Primer is soooooo much better than the Vallejo one, in terms of coverage, drying times, ease of use with the airbrush, etc. (I’ve been using the Vallejo one for the last 4 years). Next step, a little bit of modulation and shadows in some areas.